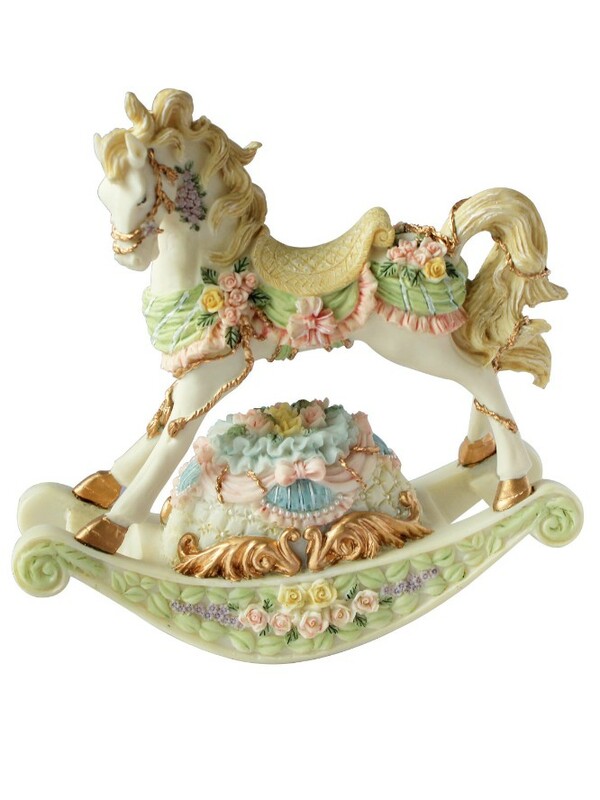 This is musical rocking horse figurine fitted with a clockwork music box movement. The clockwork movement is wound from under the figurine, which once wound enables the horse to rock slowly to the musical tune. The musical movement plays the tune "Minuet" by Mozart. The horse is decorated in a lovely and traditional pastel colour scheme, with floral and ribbon decoration. Approx Size : 19cm x 20cm. Width: 6cm.